So it was one of those hectic on-the-go work weeks full of meetings out and about as we had an international guest over from Wednesday - Friday, which meant eating lunch out ALOT, LOTS of coffee and a couple big dinners thrown in too. In fact, I don’t think I’ve ever eaten out so much in a work week. While the food we had wasn’t what I’d classify really “bad” like junk food, there was a lot of it and I certainly didn’t hold back. Over the course of those three days we had poached eggs & fresh baguettes with several sides and shared a caramelised banana pancake dish, organic burgers with a side of fries and fresh juice, baked salmon with salad and homemade pavlova with fresh fruit for dessert, sushi and quinoa salad and a BIG 5 course Asian banquet on Friday night with wine to finish things off. In amongst all that there were many flat whites and cappuccinos. Being a foodie, I love eating out and trying different restaurants and meals so even though it was a lot heavier than my usual eating pattern, I certainly enjoyed it. 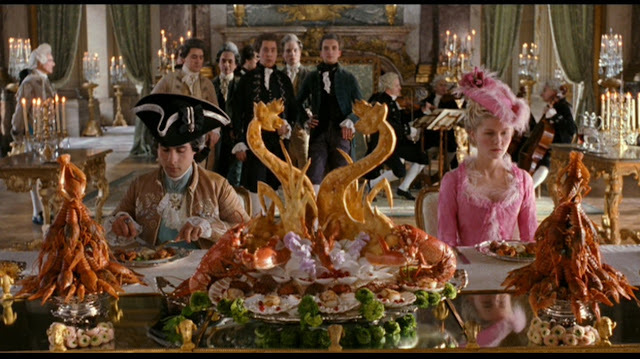 However, the problem with the nature of work weeks like these is with all the late dinners it can be pretty difficult to balance things out with exercise. Plus, by the end of such busy days, once you get home, you pretty much just want to shower and hit the sack. Generally you can’t summon the motivation to wake up early to squeeze in a workout because you want to catch up on sleep and reserve all your energy for the long day ahead. What’s more all the heavy food tends to make you feel more slugglish and unwilling to get into exercise gear. Needless to say, by the end of the week I was feeling pretty tired, stuffed, heavy and lethargic. So when the weekend rolled around I was seeing green. Let me explain. 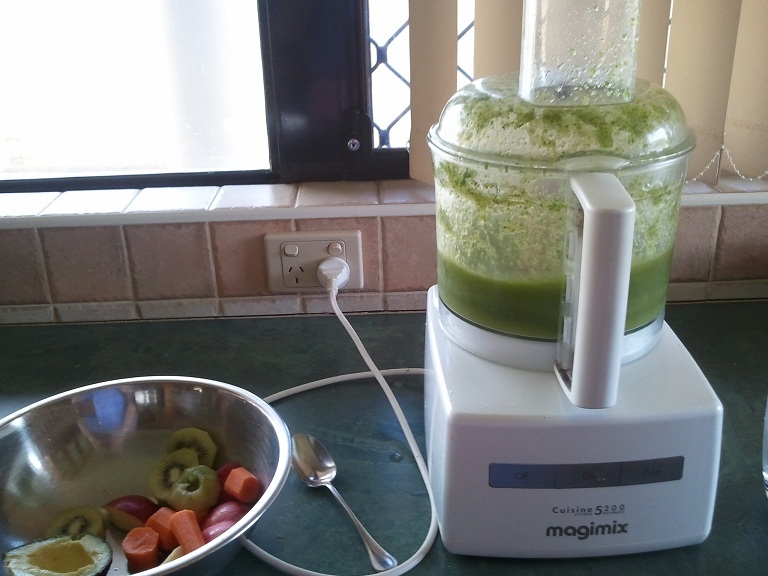 After about 3 days of limited “fresh” food in the likes of salad, veges and fruit I begin to crave a whopping dose of Green Smoothie. Now if you’ve made a few rounds on the holistic health blog circuit I’m sure you would have by now come across these lil babies and probably even tried one out at home. They’ve become quite a trending topic of late. Now, there are a lot of Green Smoothie recipes floating around the net. Arguably the most famous of these is Kim Snyder’s Glowing GreenSmoothie. 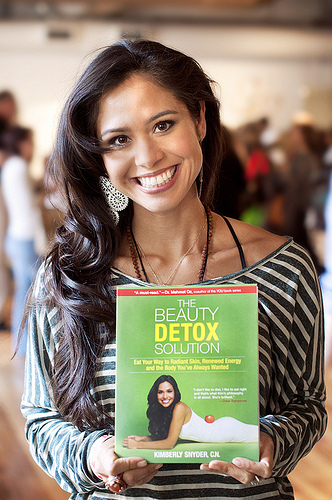 If you’re not familiar with Kim Snyder’s work, she is a celebrity nutritionist who quite frankly is adorable and lovely. She oozes happiness and has boundless enthusiasm for helping us regular folk make healthy food choices. While I don’t personally agree with all her food “rules”, I do subscribe to her overriding philosophy, being to focus on health and nourishing your body rather than following a diet to lose weight or stay a certain size/shape. In fact I think a major problem many girls/women have these days when it comes to eating is the incessant focus on diets and calorie counting rather than the quality of the food and what is NUTRITIOUS, NOURISHING and BEAUTIFYING to the body. 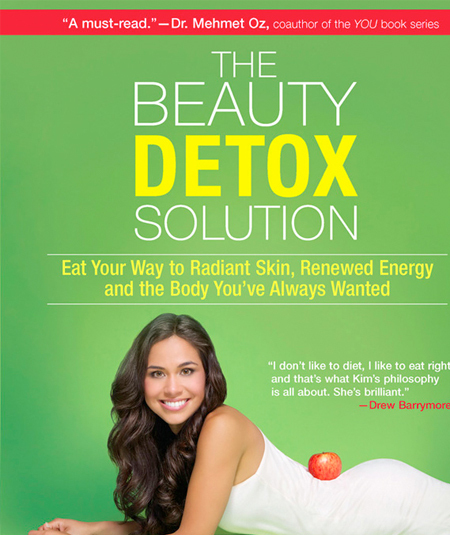 Kim prescribes a daily Green Smoothie each morning for breakfast as part of her Beauty Detox Solution, a book I’d recommend getting your mitts on if you’re into health books and would like a bunch of easy vegan recipes on hand. She has certainly converted many of her followers to her way of eating. After reading Kim’s powerful argument on the wondrous health benefits of adopting this habit, I too decided to give it a go. However, I could never quite greet my morning smoothie with the same degree of enthusiasm as many of her other followers seemed to (according to the positive comments that crowd her blog). Personally, I’m just not much of a smoothie for breakfast kinda gal. I prefer more of a “meal” type breakie like eggs, porridge, bircher muesli, and avocado or nut butter on toast. SO I just couldn’t get into it myself like many of her fans, but alas I do recognise the health benefits of them and try to incorporate them in my diet as much as possible. In fact, it works quite well as a quick light lunch or snack. 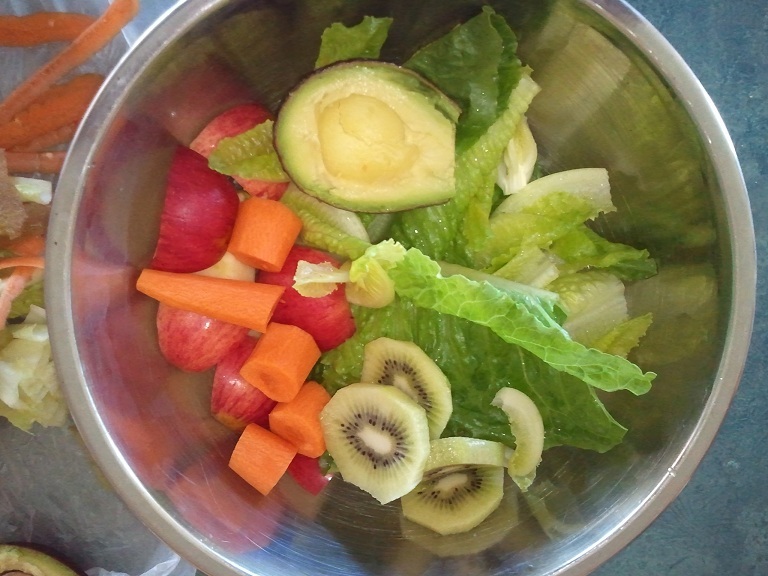 As I mentioned there are countless recipes for Green Smoothies saturating the net. I tend to be less prescriptive with my concoctions and just throw together whatever is fresh and in the fridge. Of course, use your common sense with the combinations – don’t just chuck it all in the blender and hope for the best or you might be in for a (green) shock. 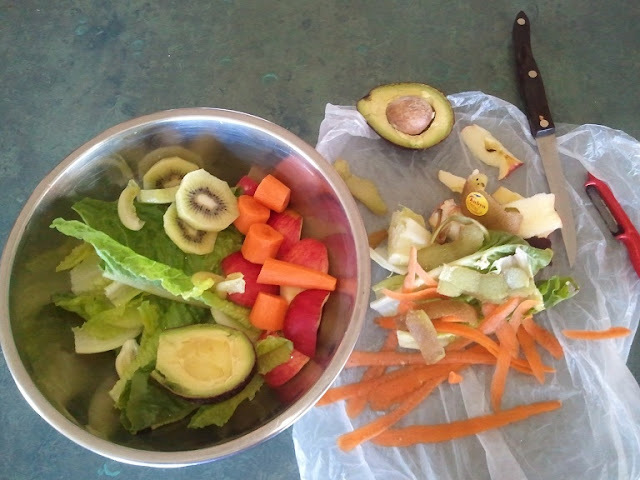 In this batch I used cos lettuce, one carrot, a small red apple, one kiwi, half an avocado, juice of half a lemon, water and Super Greens powder. 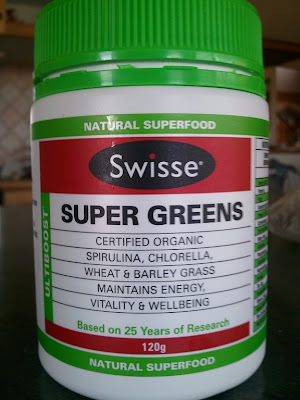 · Add a “green” powder for a boost. 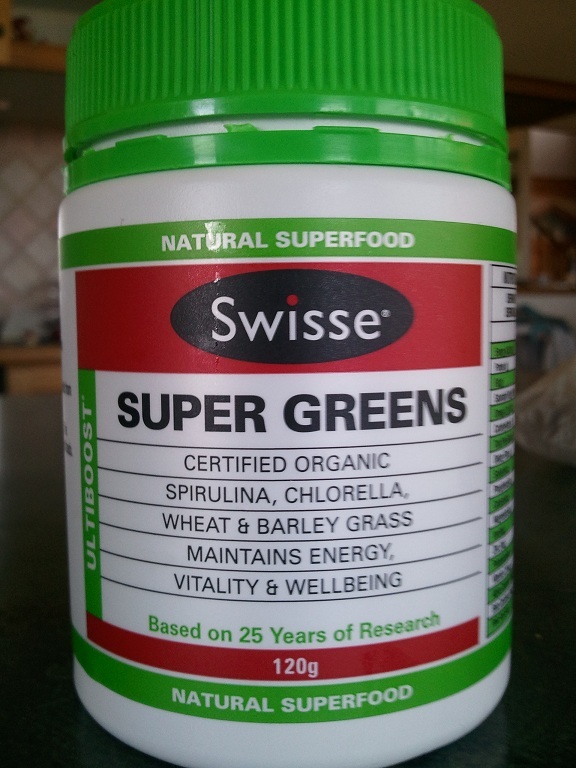 I use Vital Greens or Swisse Super Greens. Note: some of these have a strong flavour, so be weary with the dosage. · Experiment and have fun! Most Green Smoothie enthusiasts will champion the Vitamix as the King of blenders, but if you don’t happen to have one of these on hand, a regular blender will do you just fine. I use my mum’s Breville food processer. 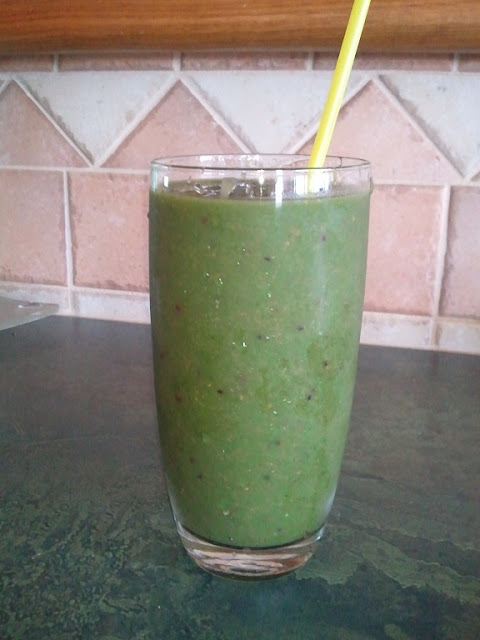 So if you’ve had a heavy meal – or in my case a heavy week of meals I prescribe a BIG dose of Green Smoothie.